Historically most people think the hula hoop is a product of the 1950s; however, it has been around for several thousand years and dates back to ancient Egypt and Greece. Today it has re-emerged as a popular new fitness trend as hooping or hoopdance and provides an alternative cardio and core strengthening workout. 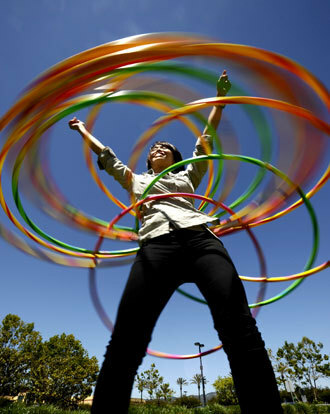 Before you start exercise using a hula hoop, be sure that you have purchased the right size hoop. If you head out to a retail chain store and buy a Hula Hoop, most likely you'll be getting a child-size hoop. To make using the hoop fun and effective, it has to be the right size. The general rule of thumb to follow is that when the hoop is resting on the ground it should reach somewhere between stomach and chest height. However, if you have an apple-shaped body and a large waist, you'll want compensate for that as well. The bigger the hoop, the slower it will rotate around your body and the easier it is to use. The smaller the hoop, the more challenging it is to use. 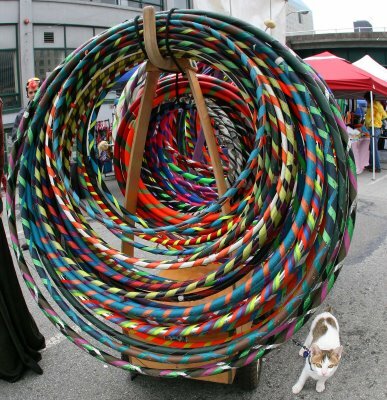 If you can't find a hooping class near you, instructional DVDs about hooping can show you the basics of how to use these larger (35-40 inch plus diameter) hoops to become fit. 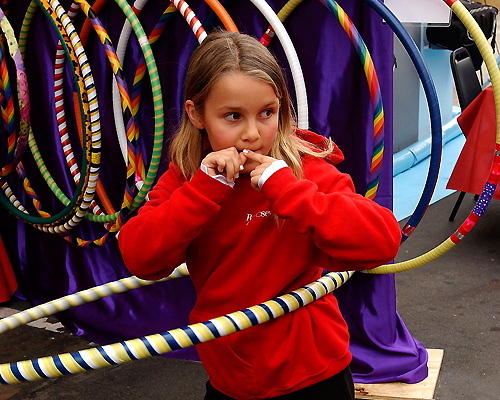 Using a weighted hoop is a little different that the classic hula hoops you may remember as a child. These weighted hoops weigh around 2 pounds and because of the heavier weight, they rotate around the body slower, so even if you struggled to keep your hoop rotating as a kid, it should be easier with this heavier, larger version. At least that's what the manufacturers have to say. No worries about a lack of rhythm or being clumsy.